Straight Walled Vacuum Chamber – Foremost Machine Builders, Inc.
Model SW-20 (2.0 cu. ft. capacity) and SW-50 (5.0 cu. ft. capacity) chambers were developed by Foremost to be used with the company’s line of vacuum pumps and control packages to convey non-free flowing TPR regrind materials. This same design has proved successful in conveying various hard to move materials. These units come standard with stainless steel chamber construction, counter weighted flapper valve, material inlets, and vacuum outlets. 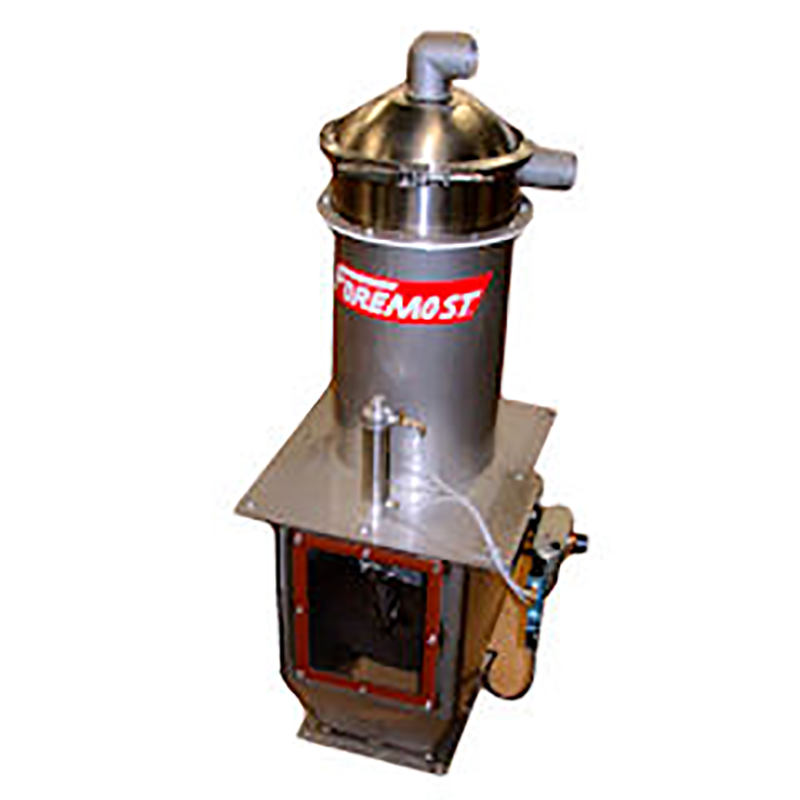 Filter options include pellet screens, cartridge filter, and multiple bag type filters. Compressed air filter-cleaning is standard on the cartridge and multiple bag units. Additional options include end point control proximity switches, air-operated discharge, and tangential material inlets.